We love to bring our viewers cool and interesting art from time to time so we hope you enjoy these amazing sculptures by Jennifer Maestre. 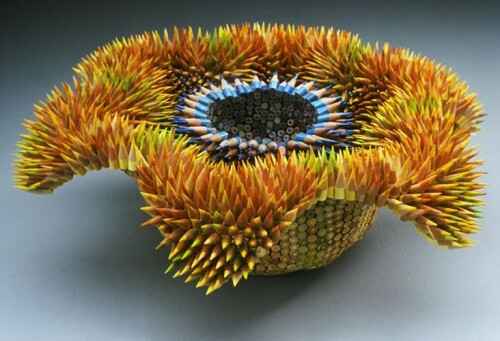 Her artwork shown throughout this post provides us with a unique visual of three dimensional shapes created using pencils, which traditionally create two dimensional art. This is another great example of the phrase "art is everywhere" it shows that tools used to make art can turn into some pretty cool art themselves. 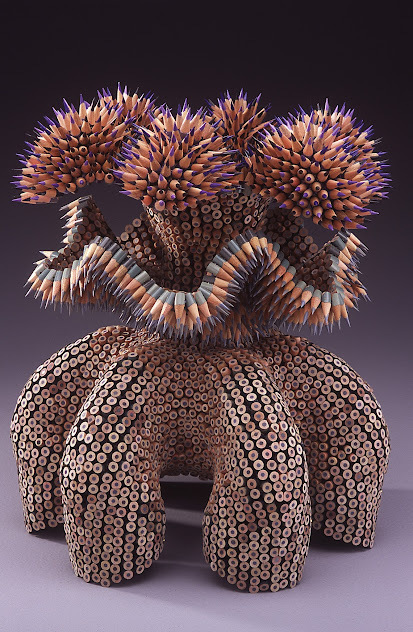 Jennifer creates these amazing sculptures entirely out of pencils and thread. 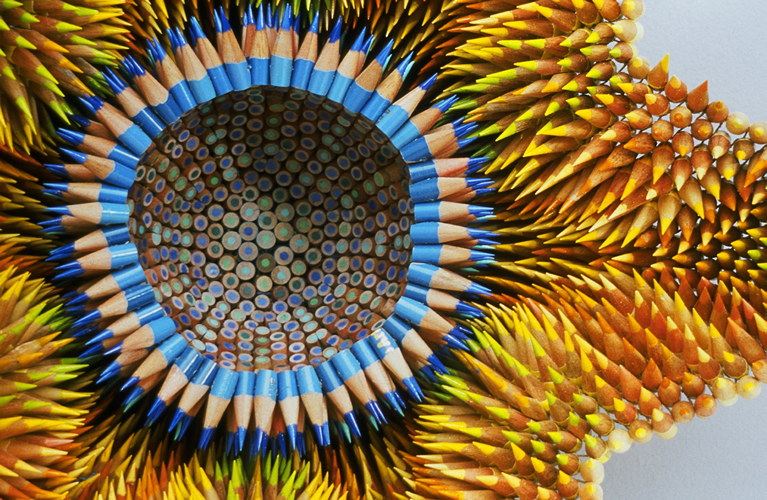 Technically she turns the pencils into beads by cutting them to about an inch long, and sharpening if necessary. Then a small hole is drilled into the base and it is threaded. 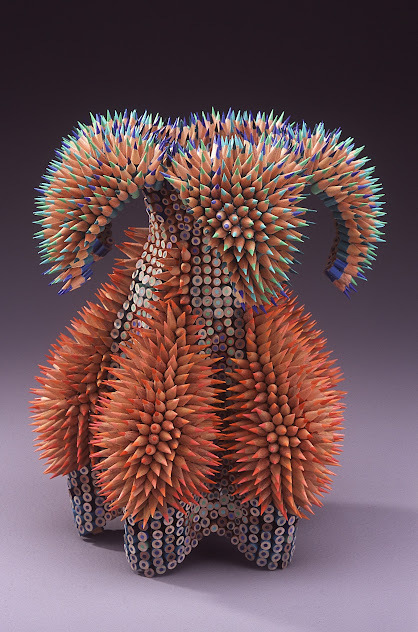 That is where her inspiration kicks in as she fashions these pencil beads into some amazing shapes that are reminiscent of many different things. 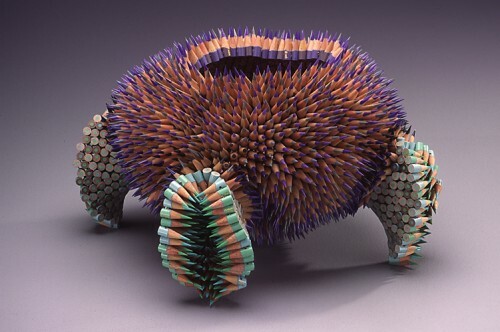 "The alluring texture of the spines draws the touch in spite of the possible consequences." Jennifer was first inspired by the beauty and striking appearance of a sea urchin, and their ability to entice a passerby to grab its deadly spines. Her inspiration shines through in the sculptures,"how do you pick those up?" was one of the first things we said after seeing a few. The texture truly does have the same appeal of the sea urchin. She soon realized that this style of sculpture can be used for much more and began to take inspiration from other forms of life, plants, and even other works of art. 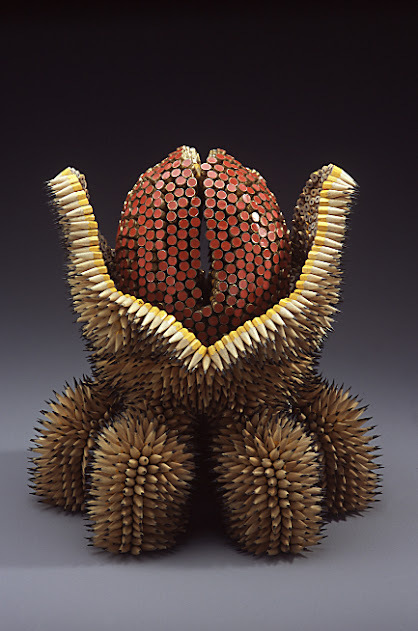 We liken scrolling through pictures of Jennifer Maestre's pencil sculptures to looking at clouds in the sky and seeing different shapes that remind us of plants, animals, and various other human objects.